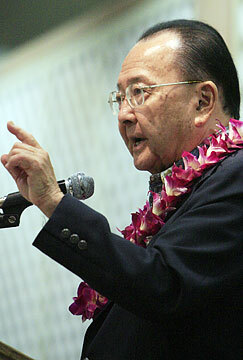 Sen. Dan Inouye will head the subcommittee presiding over the largest pool of earmarks. WASHINGTON » Sens. Ted Stevens of Alaska and Daniel Inouye of Hawaii are the best of friends in the Senate, so close they call each other brother. Both are decorated veterans of World War II. They have worked together for nearly four decades as senators from the two youngest and farthest-flung states. And they share an almost unrivaled appetite for what some call political pork. Read the rest of this New York Time article at this link.